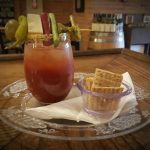 Prairie State Winery – Blues & Bloodys with Live Pete! Join us this Sunday afternoon for live music with Live Pete! from 1:30 pm until 4:00 pm and try a Bloody Mary- Prairie State style!